In our first post I stated that a large part of our role in the MHRA Inspectorate involves engaging with our stakeholders, you our audience. We see a critical part of our role outside of inspections being to keep you informed of the latest changes to regulatory thinking and updates to guidance and requirements. The blog has allowed us to provide you with advice and support, promote innovation and ultimately enhance our role in protecting public health. Ultimately we see our blog as a way of communicating with and providing guidance to as wide an audience as possible. 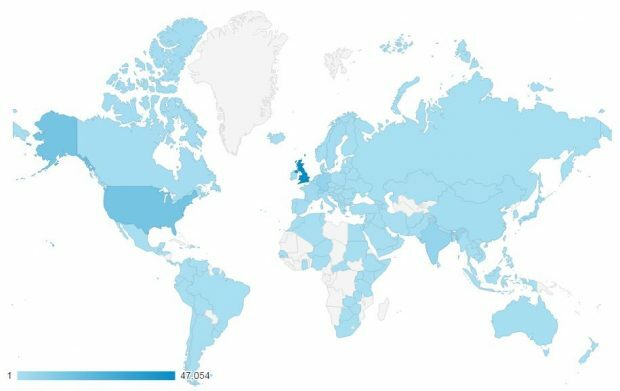 Through inspections we are only able to communicate with one organisation at a time, our symposia allow the message to be delivered to a few hundred organisations at a time, but, our blog is enabling us to reach many thousands of organisations at a time, right across the world. Good examples of this are our series of posts on data integrity and our post on inspecting clinical trials - The trial master file which have now been viewed well over 10,000 times each, with a number of other posts also approaching this level of activity. In terms of outcomes, and real on the ground change, we have started to see companies adapt their approach based on what we have posted. One great example concerns our recent post on reference safety information for clinical trials. Although it is certainly too early to mark the post as a success in terms of overall compliance across organisations, we have received consistently good feedback during inspections in terms of how useful it has been in highlighting gaps in quality systems from both the commercial and non-commercial sector. A specific example of this was seen during a recent inspection of a large pharmaceutical company, as through reading the post they had identified some gaps within their systems. As a result they had already conducted a full impact assessment and made changes in the month following the blog post going live and prior to their routine GCP inspection. This avoided the site being issued with what would have been a significant inspection finding as the corrective and preventative actions had already been implemented. Before starting to pen this post we reached out to a number of our stakeholders, via the members of the MHRA consultative committees and stakeholder engagement meeting (StEM) to ask how well they thought the posts were being received, and whether they’d made an impact and what more could we do. In the main the feedback has been very supportive of the approach taken, however, there is always more that can be done. One of the key pieces of feedback received was how do we increase signposting to, raise awareness of, and expand readership of the blog - with many stakeholders saying more should be done to publicise its existence. We are actively seeking more ways to do this and we would like to call on you, our audience, to help MHRA share knowledge and good practice by letting your colleagues (and CROs, CMOs, contract givers, contract acceptors etc.) know about this source of regulatory information. A series of GCP posts, including a second post on reference safety information, sponsor oversight, risk adaption, and electronic patient-reported outcome (ePRO). I hope you have found the posts published during the last year informative, interesting and on occasion enlightening. We aim to build on this over the next 12 months and as always I very much look forward to hearing your thoughts on the blog and your ideas for potential posts - email us. a very useful tool for communicating the thoughts of the Agency...its hard to believe it has been going for just one year given the benefits we have had from the information shared via this route. The MHRA has done an excellent job of informing their stakeholders of important topics and interpretations of regulations. I have found your blog very informative, providing really clear guidance. I hope there will be many more birthdays to come. Happy Birthday! I have enjoyed reading the blogs, and the information has been extremely useful in my line of work. Thank you. I am sure this blog helps many in pharma industry. Thanks Mark . An excellent and very worthwhile initiative - Happy Birthday! Happy Birthday! 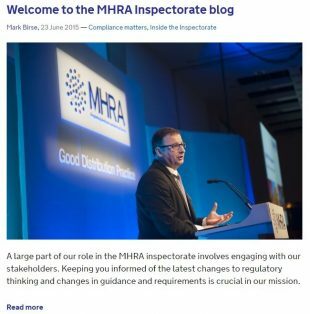 Well done to the MHRA team for such a fantastic blog. I look forward to every single article, always clear and always providing excellent guidance. 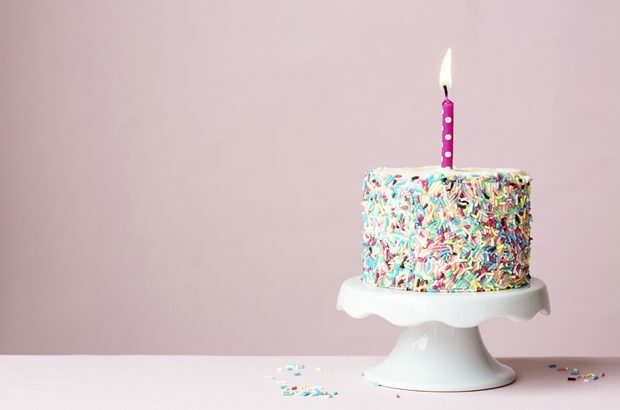 All the best for many more great birthdays! MHRA is empowering the Pharma Industry & people globally by providing these blogs and latest updates w.r.t the Drug Products / Drug Substances from GMP perspective and DI topics are really worthwhile.